When an artist paints a work of art, it is his imagination, color palette, and brush stroke that makes his painting come to life. Planning a wedding is like that of the artist. The wedding day is an unpainted canvas until the joining of two hearts. On October 14th, Brielle and Alex will marry at Henry M. Cannon Memorial Chapel on the beautiful campus of University of Richmond where they met. Brielle and Alex both received their bachelor degrees from UR, while Brielle also received her Juris Doctor at Richmond Law. Alex will receive his M.B.A. at Virginia Tech by the time they walk down the aisle. Our family holds many wonderful memories at UR, as Brielle's sister, Aubrey (and maid of honor) also graduated from UR in 2015. We couldn't be happier that they chose this special place to say their vows. 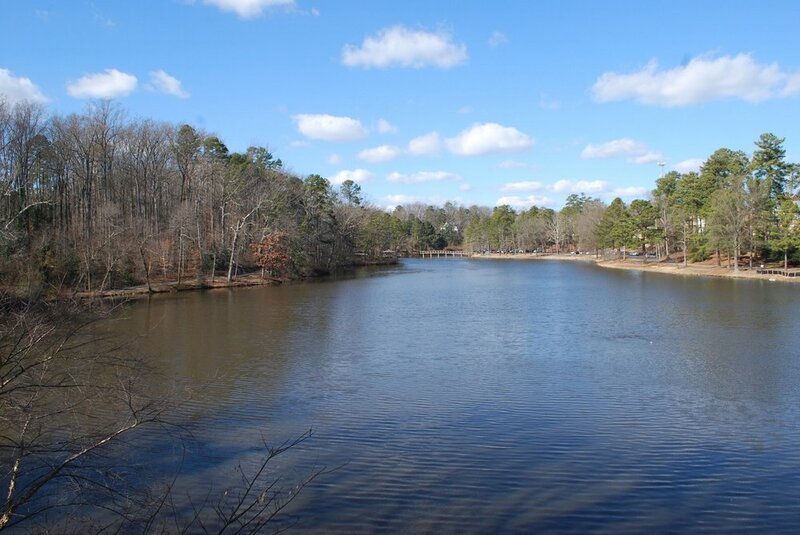 Westhampton Lake will be lined with an array of colors on October 14th. You can see the Gazebo in a distance. It is in the center of "the kissing bridge" which adjoins both sides of campus. Legend has it if you kiss in the gazebo you are destined for marriage. The chapel is just steps away from this beautiful spot. It is unknown if Brielle and Alex ever kissed in the Gazebo. Henry M. Cannon Memorial Chapel on the campus of University of Richmond. The doors of the chapel will open in just eight short months. My heart palpitates as I type these words. Brielle will find her way to the next step in her life with grace and beauty...and our family will grow. You will find 62 pews inside this beautiful chapel---a dream aisle for a bridal designer...and the bride! The courtyard outside the chapel will be the setting for that special moment when Brielle's dad will see her for the first time on her wedding day. 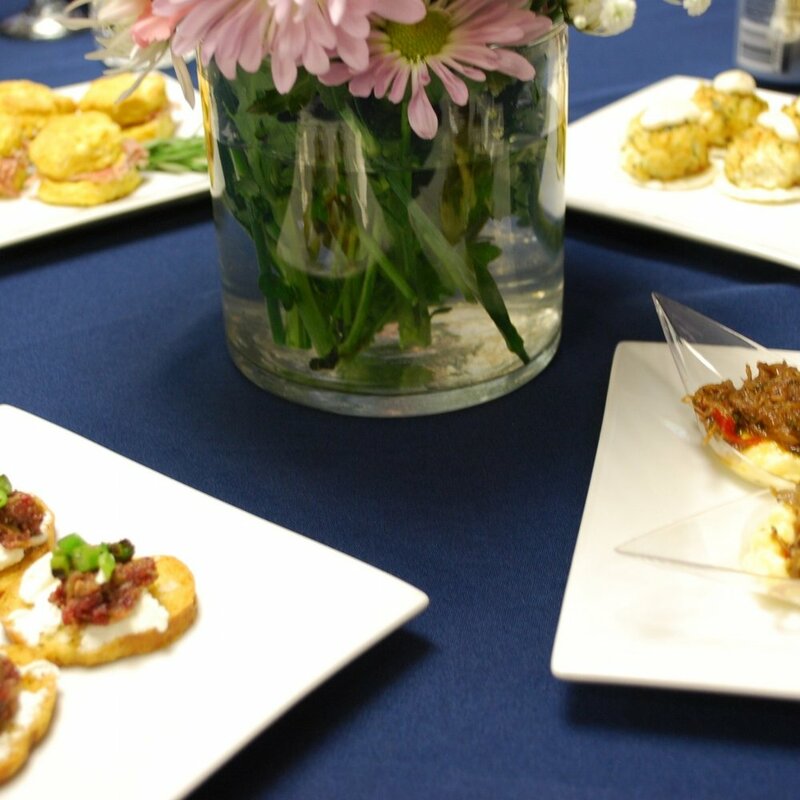 January 27th was our weekend of Richmond tastings to choose a caterer for the reception. The experience was interesting! When the bride and groom choose a venue that supplies the catering they simply have a tasting of the venue's offerings. The tasting experience is even more adventurous when your venue doesn't supply the catering, like at their wedding venue Mankin Mansion. Brielle arranged tastings with three different caterers. Each had their own specialties and flair. The tables were set and ready for the Hunt/Maffett judges. It was almost like being on an episode of Top Chef! Our first tasting appointment was downtown next to the Richmond Main Street Train Station. Loved the vibe of The Old City Bar even before walking in. I collect vintage wedding photos and fell in love with these burlesque pics as soon as I saw them! I have a feeling someone stole the one on the bottom right. It must have been spectacular! Every corner of The Old City Bar has some old world charm. The woodwork is beautiful! Crabcakes are a good test of a chefs ability. These definitely passed! 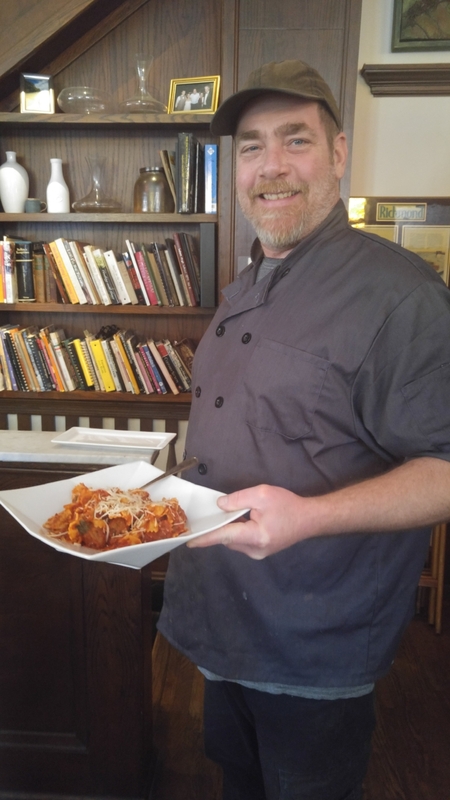 Our chef from White House Catering prepared a pasta dish with their famous meatballs. 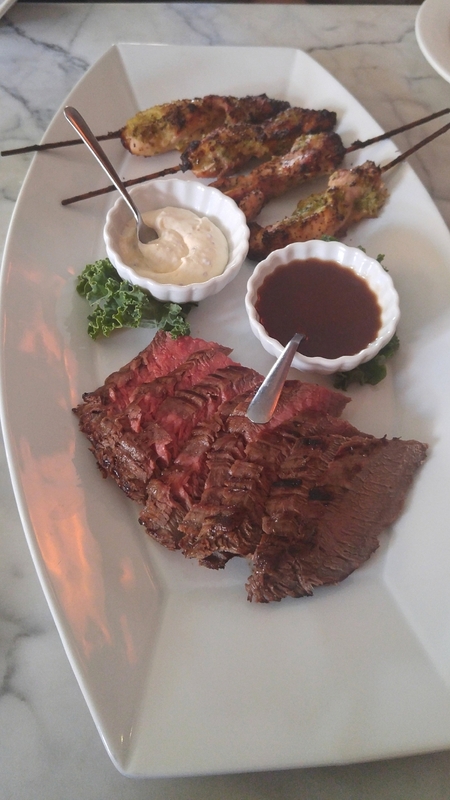 The flank steak and, melt in your mouth, marinated chicken were excellent! Alex's mind was made up. 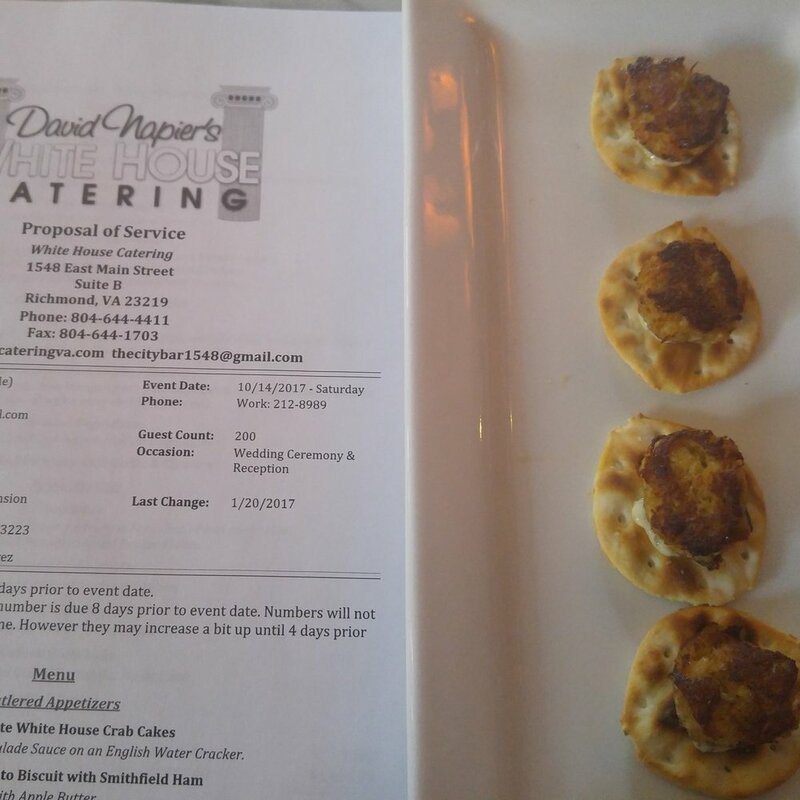 David Napier's White House Catering was it! Brielle then reminded him we had two more tasting appointments the following day. We had the afternoon off so Alex hit the gym while Brielle, Jeff, and I ventured over to my favorite place in Richmond...Diversity Thrift! Richmond has so many cool areas to explore, each with its own flavor. When Brielle began at University of Richmond in 2007, one of the things I loved to do most while visiting her was go to the antique stores and thrift shops in Carytown. I am always on the lookout for something unique for design inspiration or wedding decor at Headpiece.com. Finding an old wedding photo,1930's bridal veil, wax flower headpiece, or piece of vintage furniture for display is a passion of mine. Then one day Brielle took me to Diversity Thrift...that's when my love affair began! Two of my favorite furniture finds came from Diversity Thrift. 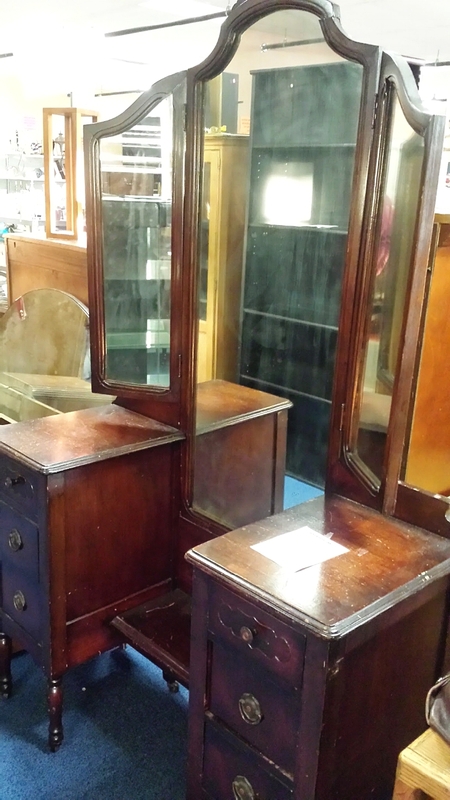 I purchased the victorian dressing table on the left for ninety-five dollars and use it to display veils at Headpiece.com. The hutch (pictured above) I bought for ten dollars and is a work in progress. I am adding lighting and a granite top for headpiece display. 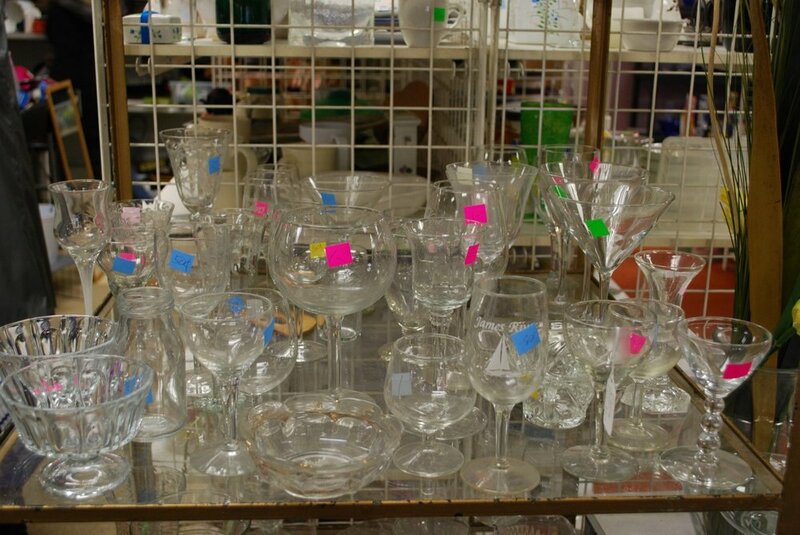 Since we were in the wedding planning mode, our visit to Diversity Thrift started me thinking. Maybe we could find some treasures to use for wedding day decor. Brielle loved the idea so we began searching for the perfect pieces to bring some more of Richmond to her wedding day canvas! Brielle searches for the perfect treasures with a creative wedding day idea in mind. Our sweet angel, Ava. She always helps us find what we are looking for when we visit the thrift shop. 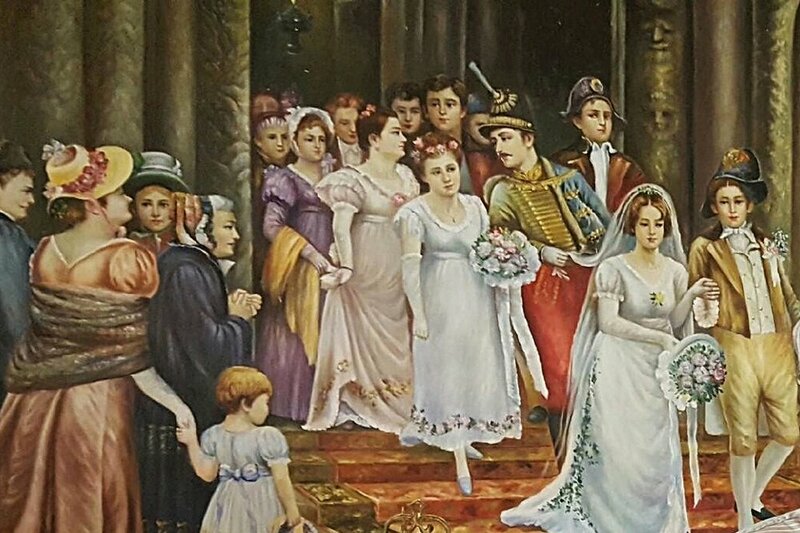 I wish we had extra time to look through the vintage wedding dresses for my collection. Sunday was the day of two tastings. 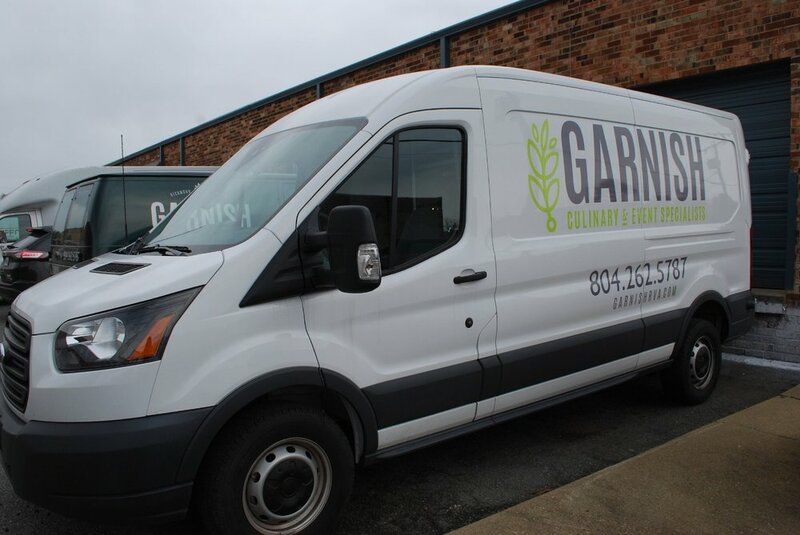 Our first appointment was in a Richmond industrial park where we met the people from Garnish. 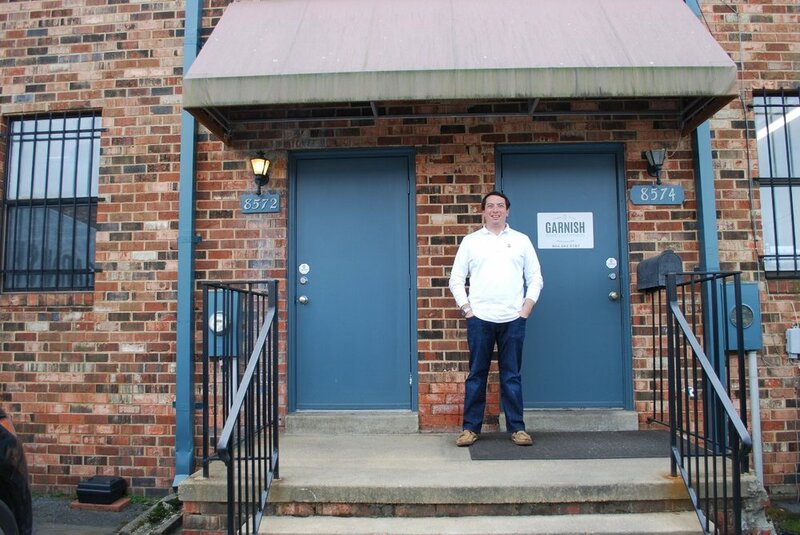 Meet Louis Campbell the owner of Garnish Catering. 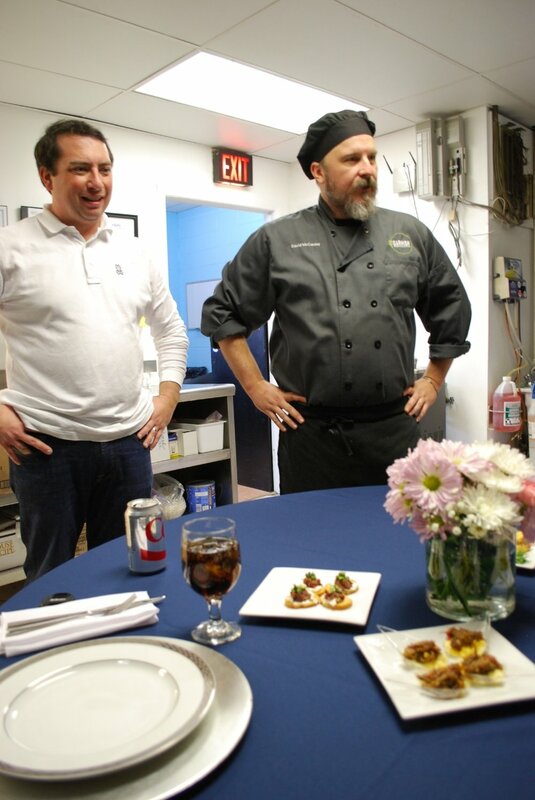 Beginning with passed hors devours, Louis and executive chef, David McCauley, presented their ideas and described the food preparation in detail. This looks like an edition of Fine Cooking magazine! Chef McCauley prepares Lo Mein and offers our fortunes. Could Garnish be in our future? Our final tasting occurred later on in the day at Champagne Taste Catering. The food kept coming as owner and chef, Whitney Fero, checked off dish after dish on her white board. The menu was endless! Her lobster macaroni and cheese was a standout! Headpiece and Bridal Veil Design for the Bride...times two!